Reese Bros. Hall became the home for Kahok basketball in 1914. Located in the 100 block of North Clinton, it later became known as Ardison's Hall. Home games were held here until the gym at the high school on Vandalia Street was remodeled for the 1922-23 season. Reese Bros. Hall was described as large, well-lighted, and one of the best gyms in the area. The last game played in this venue was February 24, 1922. The Kahoks defeated Edwardsville, 34-7. 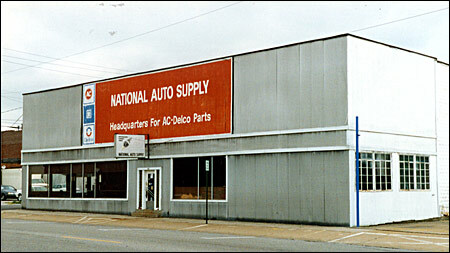 This gym became the National Auto Supply. Eventually, it was torn down to make way for the police station at 200 Clay Street. on the right side of the photo.